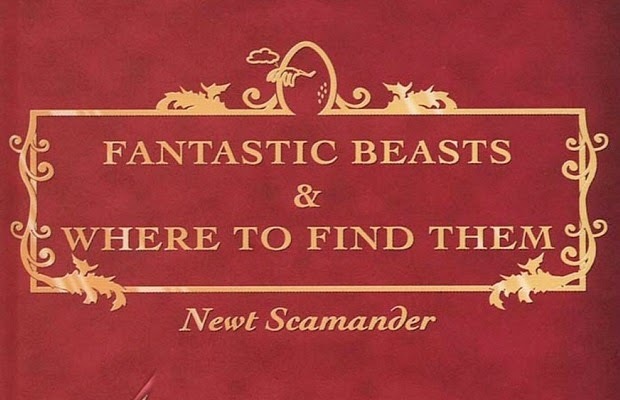 Wizards and witches, the first installment in J.K. Rowling's Fantastic Beasts and Where to Find Them trilogy will be in theaters in 2016. Warner Bros. Pictures has announced via Variety that the first of the three spinoff films will hit theaters on November 18, 2016, which happens to be a major weekend for theaters as The Hunger Games: Mockingjay Part 2 opens two days after. J.K. Rowling, the author of the widely popular Harry Potter books, will be making her screenwriting debut in the new Harry Potter-spinoff series, delving deeper into the magical universe that our favorite characters like Harry, Ron, and Hermione live in. Rowling described Fantastic Beasts as "neither a prequel nor a sequel to the Harry Potter series, but an extension of the wizarding world." Following the footsteps of The Hobbit movies, the film will be set in New York City, 70 years before Harry Potter, and will follow Newt Scamander, the fictional author of the textbook referenced in the series. The book chronicles Scamander's efforts in the "Magizoology" field - the study of magical creatures, for all you muggles. Kevin Tsujihara, CEO of Warner Bros., indicated to Variety that Fantastic Beasts would join the expanding Wizarding World of Harry Potter theme parks, which will be opening Diagon Alley, Hogwarts Express, and an all new thrilling Escape from Gringotts ride this summer. David Heyman, who has produced all eight Harry Potter films, is set to return for Fantastic Beats. No director or cast has been attached to the film yet. The Harry Potter films grossed $7.7 billion worldwide at the box-office by 2011, at the end of the series. Are you excited for more from J.K. Rowling? Let us know in the comment section below.